The map for this Sundays race. 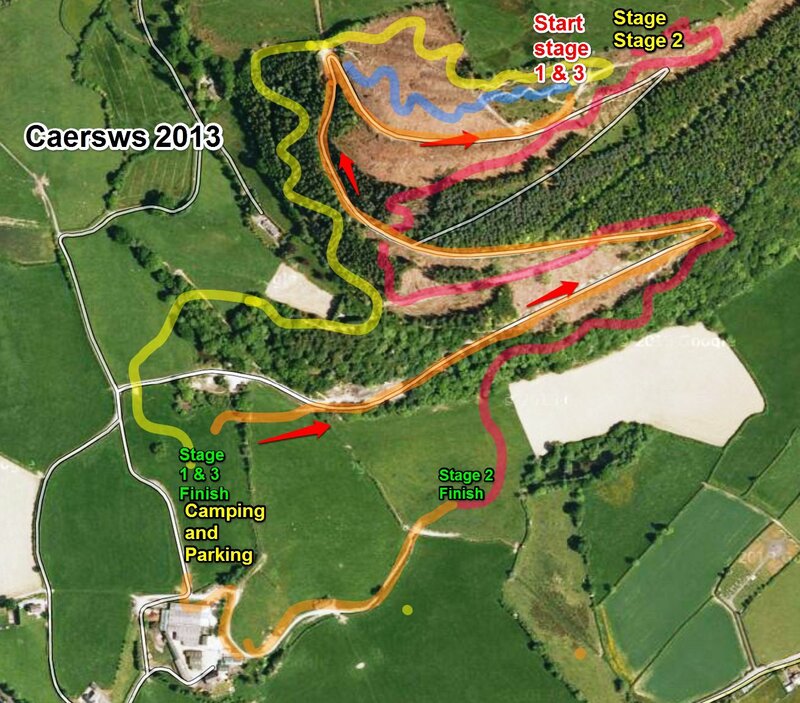 This race has been designed to give you a selection of the most fun tracks in Caersws. All the stages lead back into the finish area before setting off back up for the next stage start. Its the same transition to top each time and we have allocated 50 minutes to get to the top which should be way more then enough time to cruise up so you take in all the scenery before blasting down again. 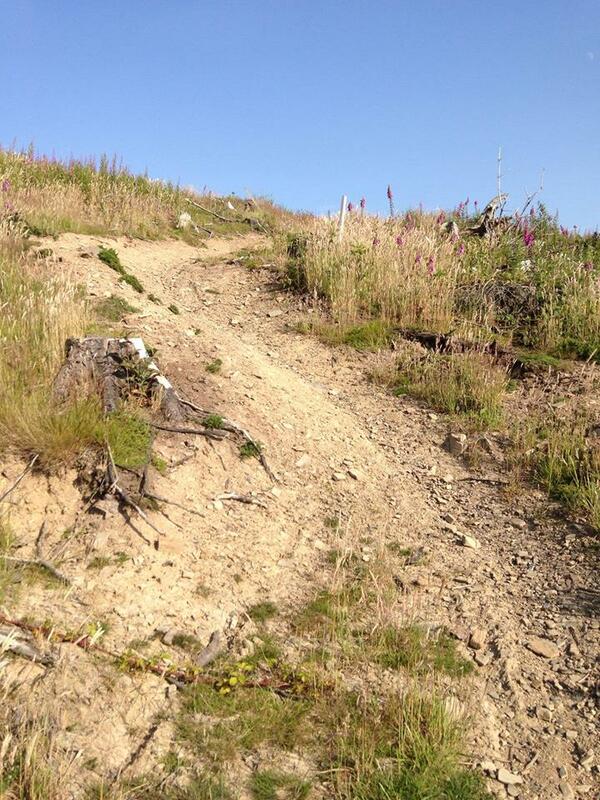 We decided to make the time allocated for the transitions to be really easy so people who are not so fit can make the climb & with the weather being so hot we though we would make easy for everyone after all this is suppose to be fun! The tracks are in perfect condition for racing, just bone dry and not a braking bump in site!